So Excited – A Contest! Stampy and the Brain > Contests > So Excited – A Contest! So I’m hosting my first contest on this blog and I’m so excited about what I have to offer. If only I could enter myself…. 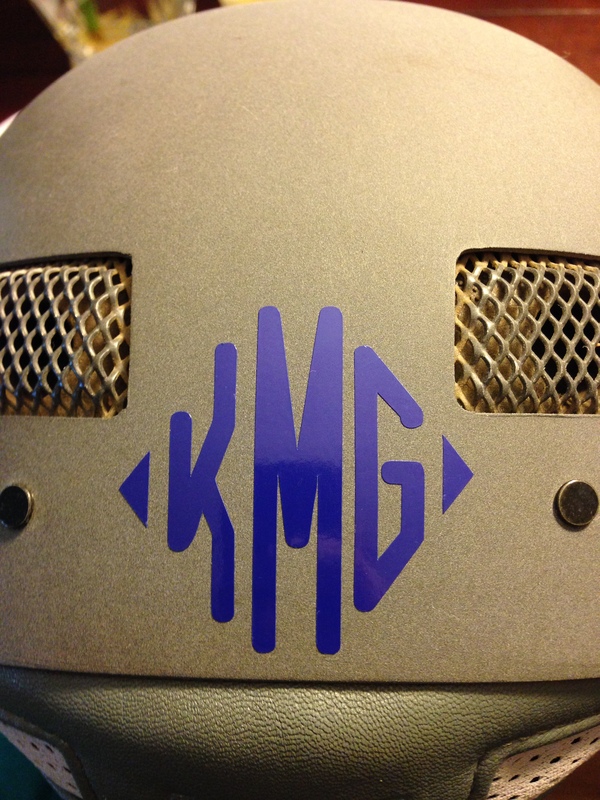 Up for grabs, 1 helmet monogram and a two pack of heat transfer monograms (which are perfect for use on breeches or your show coat) all from Relatively Stable. I’m so excited to be able to offer items as prizes that I have used myself so I know the quality and that others will love them as well. In order to be entered to win, you must comment below and tell me what your dream tack or barn related purchase would be. No budget, anything you want that’s horse related besides a barn or the horse itself! Since rafflecopter isn’t wordpress hosted blog friendly, I will put the entries in excel and use a randomizer to draw a winner. Contest is open until October 31st at midnight. Good luck! My dream item would definitely be a fancy wooden tack trunk! I’ve been wanting one for years…. Ooo, thats a good one. I had a rubbermaid tack trunk for many years and was so excited when my husband got me a fancy wood trunk for christmas a couple years ago. Mmm, would love antares everything too! Haha, go big or go home! I would love one too, especially since stampede only fits in my barn’s 7 horse. Oh, me me me. I really want a new Vespucci Hunter Bridle. Can’t decide between plain raised or fancy stitched. Willow would look gorgeous in a new bridle with her peach bling brow band. But, alas, the budget just isn’t going to give that up right now. Well, I only have 4 bridles (at the barn). Eeek. Evidently you can never have too many. Sell a couple old then buy new? Thats what i try to do a lot, lol. Then you would have to bring huey to visit, lol. Thanks! Custom saddle would be nice! I’m still planning on suddenly coming into a fortune sometime soon! Where to start?!?! I would love a nice new tack box of my own, truck/trailer, new horse (I know that it isn’t part of the contest but had to throw it in), saddle (Lol), but if I am going to be different from everyone else the one thing that has been affecting me right now is the dark (Tango HATES dusk time) so I would say lights around the sand arena at the barn or a 2nd larger indoor so we aren’t all crowded in the one. We need to win the lottery basically? Completely unlimited budget? I’d get a rockin’ new ‘Jumper’ outfit for Simon and I’d get a new tack trunk that’s a bit smaller and in my barn’s colors for shows. One could go crazy on a jumper outfit for sure! Only one dream item?! Okay, okay. Definitely a custom CWD saddle! I do want to try cwd next time I need a new saddle! Good choice. I would totally go for the rig set: dually and a giant gooseneck with sleeping quarters. I think we all have truck and trailer dreams! Ha! CWD 2G no questions. I’ve somehow never sat in a CWD saddle, will have to do that sometime! Rude that a horse can’t be on the list. That’s what I need! Guess I’ll settle for a childeric saddle. A (second) horse for you would be nice. Maybe you can get a Childeric to go with your next horse when you find him. Dressage saddle. 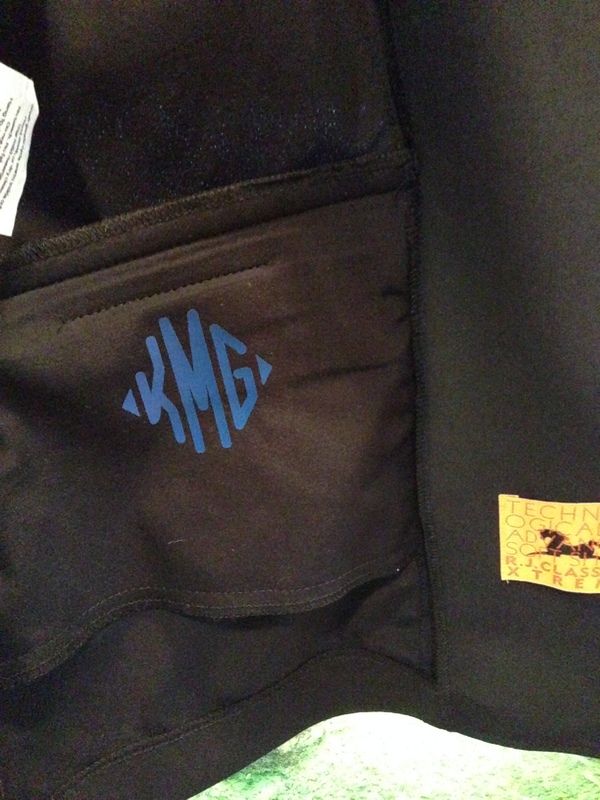 Mine has to be custom, because good luck finding a 17 XW short flap Dressage saddle used! Yep, I’m used to the custom saddle requirement myself. They don’t believe in tall people needing saddles either!